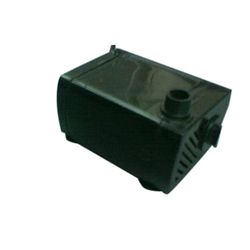 The Aquarium Air Pump offered by us is demanded by the clients for supplying air to the aquarium. Advanced with boundless mechanical involvement around here, we are giving extensive variety of Aquarium Pumps to our customers. This Pump is widely utilized for diverse operations. We are one of the famous firm, involved in offering a wide gamut of Aquarium Water Pump to our clients with the help talented professionals. We have carved a niche amongst the most trusted names in this business, engaged in offering a comprehensive range of Aquarium Water Pump. We hold expertise and experience in the felids of service providing whole selling and importing of aquariums accessories as we are engaged in providing the extensive assortment of Aquarium Air Pumps. Having a definite quality management system, we are immersed in bringing forth a top class consignment of Boyu Aquarium Air Pump 2 Output. Our organization has successfully expanded its business in market owing to the offered elevated quality range of Air Pump Aquarium. 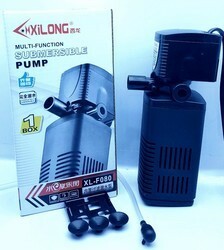 - Both air pump and LED can be positioned in different places in the tank. #Suction sups to fit any aquariums. - With low noise and big output. - AC 220V 50Hz 5Watts.